Life insurance is one of those topics most people forget about, but if you are serving in the US Marines, you need it. Thankfully, the US Government has your back, by offering a low-cost life insurance option called the Servicemembers Group Life Insurance (SGLI). SGLI is only available to active duty military members, members of the Guard and Reserve, and several other related groups, such as members of ROTC, the Public Health Service, and the Commissioned Corps of the National Oceanic and Atmospheric Administration. Let’s take a look at why this is such a great benefit, and why military servie members should strongly consider SGLI. 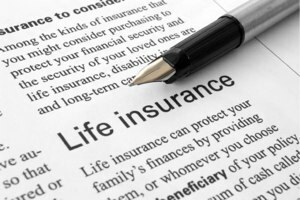 First and foremost, life insurance can be complicated and expensive. Many policies require a medical exam and some have limitations on when they will pay benefits to the policyholder’s survivors. For example, some policies won’t pay beneficiaries when a death occurs in a war zone or from an act of terror or act of war. SGLI has got you covered all the way around. It’s not expensive. You can get up to $400,000 worth of SGLI benefits for only $27 per month, and this includes Traumatic Injury Protection coverage (TSGLI), which will help you and your family if you receive a traumatic injury while covered. TSGLI is mandatory when you get SGLI benefits, but at only $1 a month, it’s a great value and a good idea to have anyway. If you compare the cost of an insurance policy on the civilian side of the house, the cost could readily exceed $27 per month for $400,000 coverage, and you wouldn’t receive the traumatic injury protection. The monthly premiums are listed on the VA website. There is no medical examination required. SGLI is a group health insurance program, which means everyone who is offered this insurance gets it at the same rate. There are no special exams to take, no questionnaires to fill out, etc. You can get the same rate even if you have a previous health condition, are getting up there in years, or you are a smoker. You won’t find a deal like this on the outside where most life insurance premiums are based on age, gender, health, smoking status, and similar factors. No war zone exclusions. This is the kicker. Many civilian life insurance policies are full of exclusions. There are civilian companies that offer life insurance benefits that cover a death in a war zone, but not all of them do. If you look outside of the SGLI coverage, be sure to look around for different options and read the policy thoroughly to make sure your survivors are covered in the event you pass away. Note: the following civilian companies offer life insurance without a war zone exclusion, and may be good options for military members: USAA, Army and Air Force Mutual Aid Association (AAFMAA). USAA also offers Exclusive Life Insurance features for Military Families. Coverage for your dependents. Servicemembers Group Life Insurance also allows you to buy life insurance coverage for your dependents. You can buy up to $100,000 coverage for your spouse (in $10,000 increments), and up to $10,000 coverage on your children. This coverage is offered through Family Servicemembers Group Life Insurance (FSGLI), which is an extension of SGLI. You can take it with you when you leave the service – sort of. SGLI is only available to the members listed above, but you have the option of transferring your policy to a Veterans’ Group Life Insurance (VGLI) policy when you leave the service. VGLI is sponsored by the VA and is also a group life insurance policy. VGLI rates are based only on age, so you don’t have to take a physical or medical exam. Survivor counseling. Servicemembers Group Life Insurance offers survivors free financial counseling to get through the difficult transition of losing a loved one. This counseling includes one one one visits and access to resources to help get through the transition. More information on SGLI. The best resource for SGLI is the VA website, the SGLI FAQ section, or by speaking with your personnel officer. You can also contact the Personnel office of the SGLI at 1-800-419-1473. Which Type of Life Insurance Should Military Members Buy? SGLI is a great option for military life insurance, but it isn’t the only option. Whether or not you get SGLI coverage, just make sure you get some life insurance coverage. Your family will thank you if the worst should ever happen.